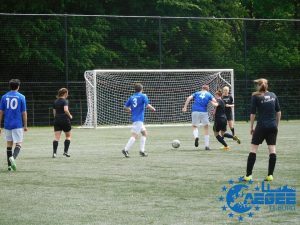 Thursday May 16 – Football Club Willem II Tilburg – 6 versus 6. Who will win THE battle for ultimate pride?! Who can sing ‘We are the Champions’ at the International Champions League 2019?! Are you ready?! Always wanted to play football against and with refugees? Wanted to actively be a part of integration? And possibly win beautiful prices? And if that is not enough, having a cantus at the end? Big football fan or just looking to have some fun with friends, and available at the 16th of May? Gather your brothers, sisters, friends, colleagues, and/or rivals to fight the Ultimate battle. In teams of max. 10 persons we play six versus six during a twelve minutes game to decide who has the most WonderMagical football team! Take your chance and be there! Why should you be there? 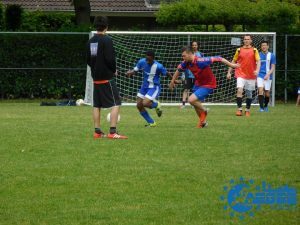 The International Championship League unites students and refugees with the shared interest in football, a lot of fun, and a bite afterwards. After a great success in 2016, and ongoing success in 2017 and 2018, let’s continue this growing tradition. Register yourself and your fellow team members for the International Champions League 2019! Since this is more than a tournament, we would also like to invest in society as well. 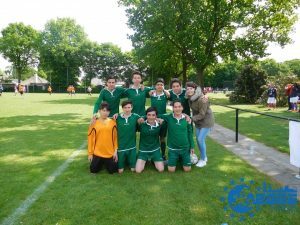 Therefore we invited several refugee teams to join us this day. We will make sure they will have the time of their lives and just can forget the struggles they are facing at the moment. However to do this we need to collect money. With our lottery with amazing prizes we would like to ask you to help these refugees. Buy yourself a lottery ticket for only 1 euro and become a WINNER! The International Champions League will take place on Thursday the 16th of May at Football Club Willem II in Tilburg. The tournament only costs 12,50 euro per person. Next to the tournament, DINNER and BEER CANTUS are included. Do you accept the challenge with your team* to become the winner of the International Champions League 2019? Of course you do! Group up with friends a subscribe! Can’t find enough team members? Or do you want to experience how it is to play with some great football players from other countries? Send us an email and we will find you a nice team! Team consists of minimum six to maximum ten persons. Think of an original/funny/creative name and subscribe. Next exchange: AEGEE Celabrates: Tilburg’s Carnaval! Hello Party AEGEE-ans from all over Europe! Are you in for the biggest costume party of your life? The entire town of Tilburg comes together to celebrate the Dutch tradition 'Carnaval'🎉. Don’t know what Carnaval is? We will teach you during our Carnaval workshop and dance lesson to make sure you are all prepped for the party. On top of that there will also be an amazing city tour/ pub crawl😉. Wanna start out slow? You are welcome to come a day earlier and explore the city’s beautiful art museum The Pont. Sign up and come celebrate with us, we are looking forward to partying with you all!